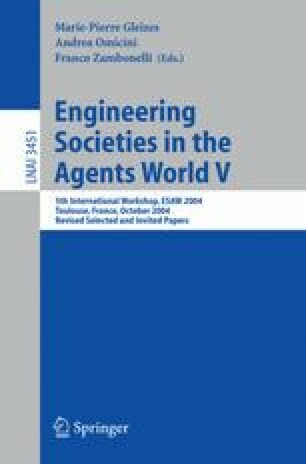 In this paper we propose a new role for the agent metaphor in the definition of the organizational structure of multiagent systems. The agent metaphor is extended to consider as agents also social entities like organizations, groups and normative systems, so that mental attitudes can be attributed to them – beliefs, desires and goals – and also an autonomous and proactive behavior. We show how the metaphor can be applied also to structure organizations in functional areas and roles, which are described as agents too. Thus, the agent metaphor can play a role similar to the object oriented metaphor which allows structuring objects in component objects. Finally, we discuss how the agent metaphor addresses the problems of control and communication in such structured organizations.